With nearly 400,000 fatal cases in the United States per year, sudden cardiac death is an epidemic that has been so common for so long that it flies largely under the radar. However, after seeing a 14-year-old hockey player succumb to the affliction, Tim Webert applied his hard-earned corporate expertise to combat sudden cardiac death in a medically groundbreaking fashion. 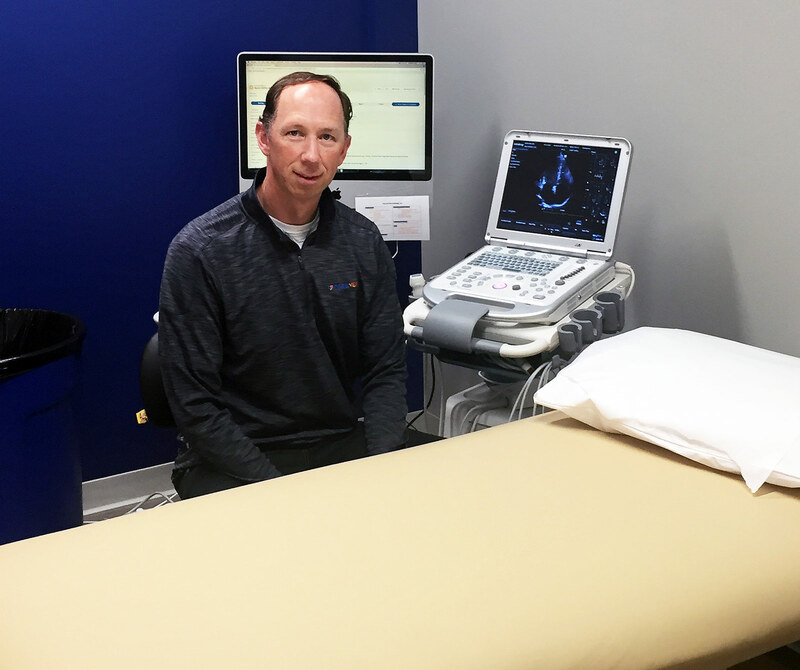 In 2016, Webert opened PraeVeni in Eden Prairie, Minnesota which offers focused echocardiographic screening tests for less than $100 – a fraction of the $1,000 price tag for the same screening performed at a hospital. Tim Webert founded PraeVeni in Eden Prairie, Minnesota, to test for common heart problems for a fraction of the price that is charged for the same screening at hospitals. Using harmless soundwaves, the screening assess 10 heart features and seeks to affirm normality. Retired Mayo Clinic cardiologist Dr. James Seward, Webert’s advisor, said PraeVeni is one of the few places in the world to take a preventative approach to sudden cardiac death. While Seward, who practiced cardiology for more than 50 years, and Dr. Benjamin Eidem are on-hand as advisors for PraeVeni, Webert keeps the cost of his screenings low because he does not employ a doctor. Instead, he staffs seven certified sonographers who perform 15-minute screenings using state-of-the-art echocardiogram machines. PraeVeni has performed more than 2,000 screenings and reported abnormalities in two percent of participants, consistent with the medical consensus. Webert also forged a relationship with Children’s Heart Clinic in Minneapolis, which often uses PraeVeni’s screenings to diagnose patients without having them take an additional, more expensive screening. In the case of Susanne Schaer and her 12-year-old son, Alex, a PraeVeni sonographer noticed a back-flow of blood in the upper chambers of Alex’s heart. Even though it wasn’t one of the 10 features PraeVeni assesses, Webert insisted the Schaers return to the center for an additional screening with Seward and Dr. David Burton of The Children's Heart Clinic. Webert also has forged a relationship within The Children's Heart Clinic in Minneapolis, which provides a quality referral option for the screening participants that have a heart abnormality. The doctors confirmed Alex had a 1.5 centimeter-wide hole in his heart and, although it was not life-threatening, referred the Schaer’s to doctors at Children’s Hospital Heart Clinic in Minneapolis, where they were able to treat the condition without performing open-heart surgery. Schaer, who found out about PraeVeni through a baseball registration email in March, has since asked Tonka United, a local soccer association with more than 100 teams, to add PraeVeni’s information to their emails. Interests: Traveling with family, playing hockey and golf and eating new foods at the Minnesota State Fair. Webert grew up in Edina, Minnesota, and earned bachelors and masters degrees in business administration at University of Wisconsin-Madison and University of Minnesota, respectively. He entered the corporate world in 1990 with Northwest Banks (now Wells Fargo), serving various roles in sales, analysis and business development. 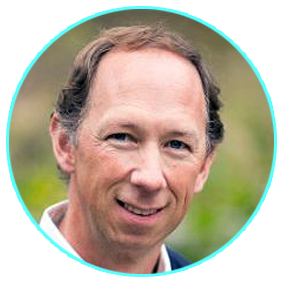 Beginning in 1998 he performed various management and leaderships roles for Cargill in Wayzata, Minnesota, before leaving in 2007 to serve as vice president at MolliCoolz in California. He returned to Cargill in 2009 and left again in 2012 for a vice president position at Carlson Wagonlit Travel. In 2015, after witnessing a sudden cardiac death at his son’s hockey game in Brainerd, Webert began screening youth athletes using an echocardiogram machine. After finding 16 cases of heart abnormalities in the Wayzata Youth Hockey Association alone, Webert founded PraeVeni, where he screens youths between 6 and 25 years old for a $99. Since opening the screening center in 2016, Webert has screened more than 2,000 people and refer those with abnormalities to those who can provide further medical treatment. Since opening PraeVeni, Webert has asked local sports associations to spread the word about sudden cardiac death and his screening center. Although there is no evidence that SCD is more common in youth athletes, the condition becomes much more apparent and traumatic when it happens in the sports arena. Webert’s eyes were opened at his son’s hockey game in 2014 when he watched Eagan’s Patrick Schoonover suddenly collapse and die. The tragedy immediately raised awareness and concern within the hockey community and exposed a significant gap in medicine. “The response from the medical community was that there is nowhere to go unless you are showing symptoms,” Webert said. Shortly after Schoonover’s death, Webert borrowed echo machines from Phillips Healthcare and screened his son’s hockey team. In 2015 he made screenings available to the entire Wayzata hockey association. Of the 750 kids screened, 16 were notified that their hearts showed abnormalities. In his previous career, Webert was tasked with building new businesses within major corporations including Wells Fargo and Cargill. In 2016 he left a vice president role at Carlson Wagonlit Travel to open PraeVeni, a specific benefit corporation that, according to its website, “exists to benefit and provide peace of mind to families and communities alike.” While building a company was nothing new to him, without corporate resources and backing, PraeVeni was a whole new animal. With a facility, machines and staff in place, Webert reached out to local athletic associations such as the Osseo-Maple Grove Hockey Association to distribute information about SCD and PraeVeni screenings. Board member Kurt Halstrom said 213 OMGHA hockey players have been screened so far, four of whom showed abnormalities. The board subsidizes the $99 cost by $40 for players and $15 for non-players through its overall association expense and has raised awareness through social media, email blasts and word of mouth. The response from the medical community was that there is nowhere to go unless you are showing symptoms. Seward, Webert’s biggest proponent, has for decades been frustrated by the staggering statistics surrounding SCD. In the United States more than 400,000 people are lost to sudden cardiac deaths per year – 1,000 of whom are children – and those affected rarely show symptoms before arrest. Common forms of testing such as electrocardiograms and stress tests are often used to diagnose heart conditions, but they are expensive, difficult to quantify and frequently result in false positives. To make matters worse, Seward said, the chance of saving a child after a sudden arrest using resuscitation or defibrillation is very low. However, Seward believes Webert’s new approach, especially if it is applied on a much larger scale, could finally begin to chip away at the frequency of SCD.